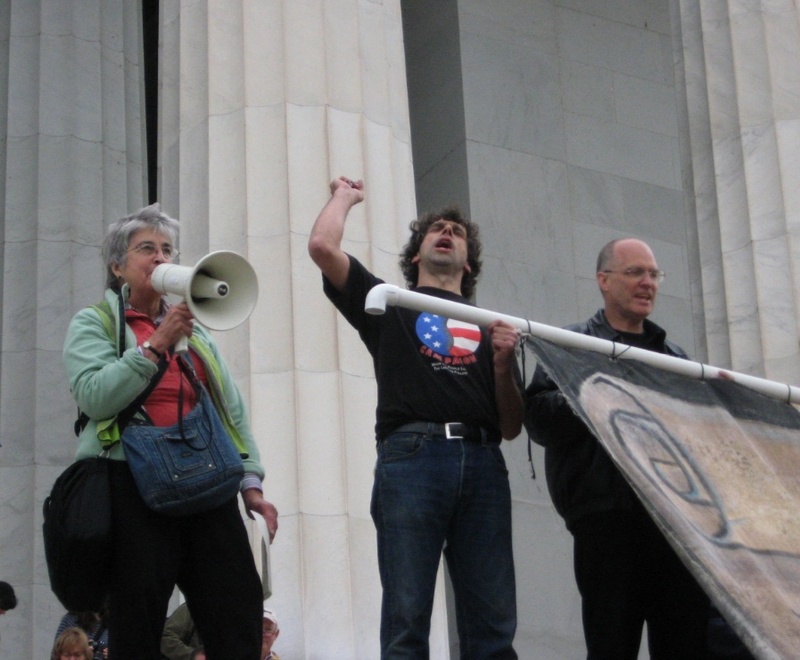 Alliance for Democracy enthusiasts, in coalition with other Move to Amend coalition partners, facilitated a media-savvy welcome for Robin and Laird Monahan to Washington DC Wednesday, October 20. 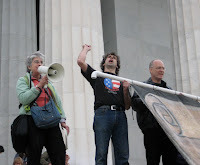 The brothers trekked 3100 miles across country to support Move to Amend and call attention to Citizens United v. FEC, the disastrous Supreme Court decision allowing spending of unlimited corporate money on our elections. The Alliance knew these two dedicated Viet Nam vets and democracy advocates deserved a great hurrah! 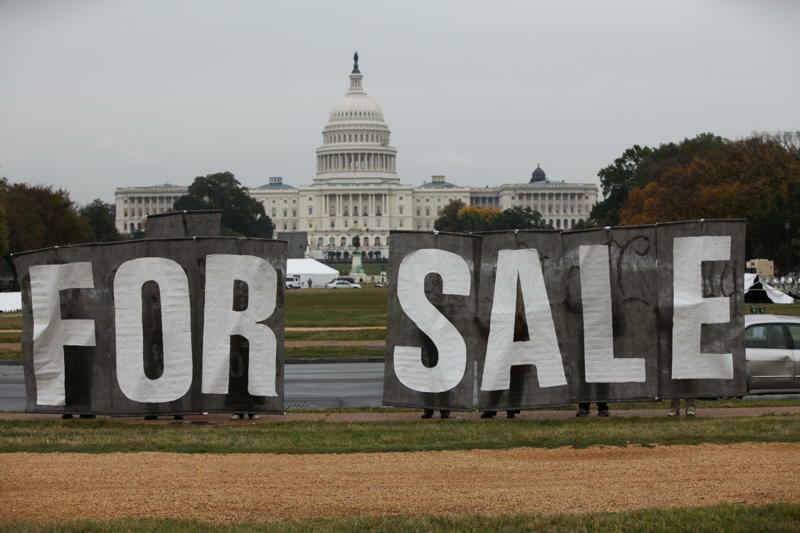 Another standout in front of the Capitol and Supreme Court building featured a giant "For Sale" sign, assembled the night before (and into the early morning hours) by the Backbone Campaign's Bill Moyer, and AfD co-chair Nancy Price. A fun and festive evening reception at Washington's renowned Busboys and Poets wrapped up the day with a gathering that included some of this country's most dedicated and active citizens determined to bring an end to the devastating power of corporate money in politics. AfD Co-chair Nancy Price spent weeks arranging the event and then spent much of the day holding flabbergasted police agencies at bay by explaining the multiple permits she had obtained from their institutions. 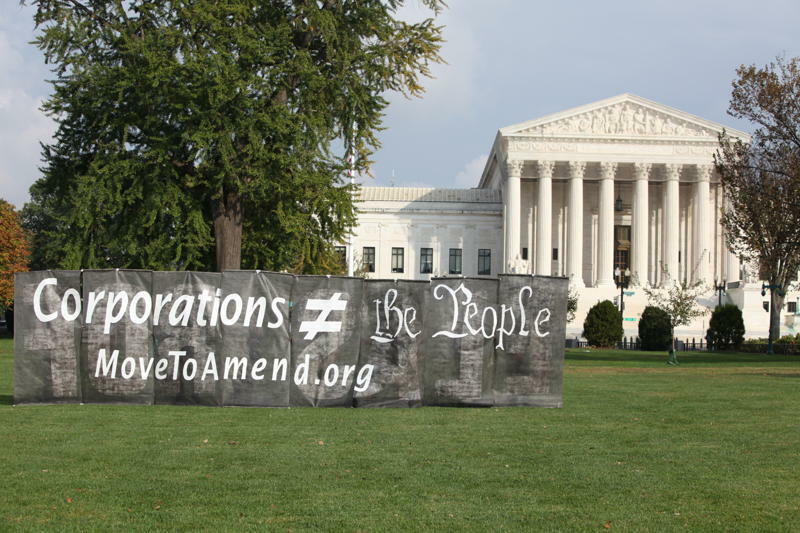 Thanks to creative and hard work by various coalition partners, including Bill Moyer of the Backbone Campaign, the event received major media coverage, including photos in the Washington Post, on the New York Times website and in various blogs across the country, spreading the word that there is a growing popular movement to end corporate corruption of our elections. See the slideshow here! Thanks to photographers Barry Student of Electric Communications, John Leonhard, Jim Tarbell and Barb Clancy.